This year SARO wants to help you have a cruelty free thanksgiving. 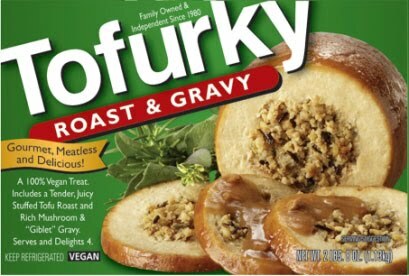 SARO will be raffling off a Tofurky Roast and Gravy pack for you to enjoy for Thanksgiving. Raffle tickets are $2.00 each and can be purchased anytime at Strong Hearts Cafe located at 719 E. Genesee St. near downtown Syracuse. Cash only. The raffle will be drawn November 2nd 19th, the Thursday before Thanksgiving. This entry was posted in holiday, raffle, thanksgiving, tofurky, vegan, vegetarian on November 1, 2009 by saro.